In order to advance rational HIV vaccine designs that can efficiently generate long-lived mucosal immunity, better tools for measuring mucosal immune responses in humans are needed. 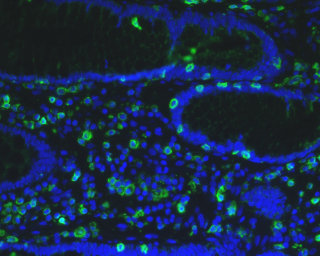 Standardization of specimen collections has focused primarily on mucosal secretions to evaluate antibody responses. 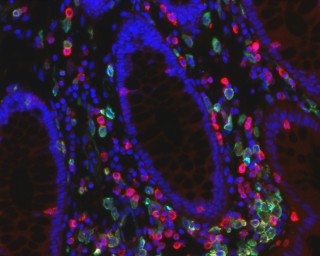 By contrast, less effort has been devoted to optimize and standardize the collection of mucosal secretions and tissues to identify both innate and adaptive cellular responses. Thus, precise and comprehensive characterization of mucosal cellular immunity using well-standardized specimen collection methods and detection assays are critically needed. This program will guide vaccine and study designs to ultimately determine which regimens efficiently induce mucosal HIV-specific responses, and furthermore, which strategies may potentially enhance HIV-1 infection through mucosal immune activation. 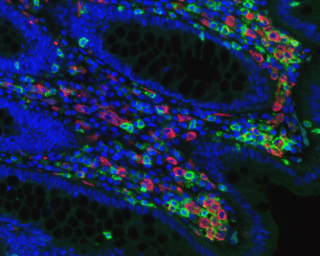 The mission of the Mucosal Immunology Group is to identify critical areas of need for a Scientific Agenda that will guide future mucosal studies. Addressing the questions within the Scientific Agenda will lead to improvement and standardization of mucosal specimen collection for use in clinical trials and assay development for an enhanced understanding of HIV-specific cellular immunity in the mucosa. Since its establishment in 2009, the Mucosal Immunology Group (MIG) has focused its scientific efforts on addressing key technical and knowledge gaps to help inform clinical studies of mucosal immunity to HIV. Early MIG collaborative projects were aimed at developing optimized standard protocols for mucosal sample collections from the human gastrointestinal or genital tracts as well as at defining best practices for subsequent mucosal sample storage, processing and analysis by standardized assays to measure and characterize the major effector and memory mucosal immune responses to HIV in mucosal compartments. Develop improved methodologies to interrogate and analyze the tissue microenvironment, mucosal fluids, and cellular and molecular interactions within human genital, oral, lung, and colorectal mucosa as these factors relate to HIV infection and/or immune responses to HIV. Develop and advance human mucosal tissue models that may more closely mimic HIV interactions in an intact mucosal environment and provide potentially more predictive value to better inform product decisions for multiple HIV preventive and therapeutic modalities. Evaluate the role of gut, oral, lung and genital microbiomes in modulating the effects of HIV prevention and therapeutic interventions, particularly vaccine-mediated responses, in mucosal tissues and fluids. Explore the dynamics of mucosal HIV latent reservoir formation in breakthrough cases/controls within HIV vaccine, immunoprophylaxis and immunotherapeutic studies, with a goal to gain insight into the contribution of pre- and post-infection immune responses on the reservoir size and kinetics.